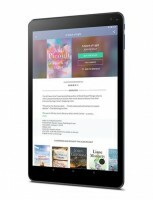 Barnes & Noble just unveiled a new slate – the Nook Tablet 10.1”. It’s been a while since the last one and even longer if you don’t count the rebranded Samsung Galaxy Tabs. The new tablet is available for pre-order at just $130 and the best thing about it is the screen – a 10.1” IPS panel with 1,920 x 1,200px resolution and 224ppi pixel density. That’s a sharp display optimized for reading at a very affordable price. The corresponding Amazon Fire HD 10 is $150. Barnes & Noble Nook Tablet 10.1"
Unlike it, the Nook Tablet 10.1” runs standard Android, so you get full access to the Play Store (in addition to the B&N ebook store). Unfortunately, the spec sheet doesn’t mention details like OS version or even the chipset. 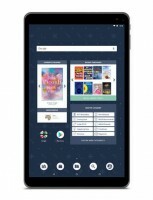 This slate can be shared with the family, everyone getting their own account so they can organize their virtual bookshelves individually (parental controls are available too). If you need help finding a book, the Browsery community will offer up recommendations. 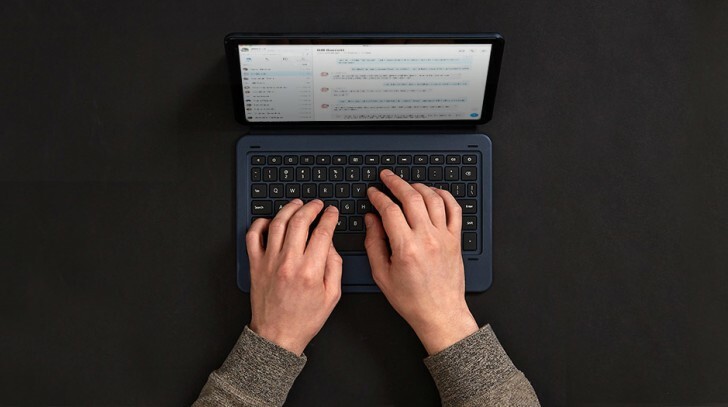 Barnes & Noble will offer a keyboard cover, so this is a tablet for typing too, not just reading. It connects via pogo pins, which saves you the hassle of Bluetooth keyboards (charging and pairing). The price of the keyboard is still TBA. The Nook Tablet 10.1” has a soft coating on the inside to make it comfortable to hold for long periods of time. The battery should last 7 hours of reading (capacity is not listed). There’s 32GB of storage (and purchased ebooks are stored in the Nook cloud), but you can expand it with a microSD card (up to 256GB). That’s in case you want to listen to some music over the 3.5mm headphone jack. The other connector is (unfortunately) a microUSB. Additional specs include Wi-Fi ac and two 2MP cameras. 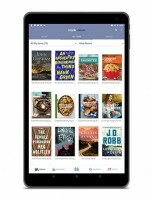 The Barnes & Noble Nook Tablet 10.1” will ship on November 14. At least its a lot better than the two SOGs from Apple. SOG stands for Super Overpriced Gadget. For most work it have enough performance. Well I suppose so, given the price. But it's still pixely. Indeed, but typos happen :) 200+ ppi is still good for a budget tablet though, at reading distance the display looks good enough.